Still handing out your paper business cards at social or networking events? Find it inconvenient to share your Phone contacts with your friends? A more convenient way to share your business card is here. Share your business card: Create your own business card in Contacts and use the QR code to quickly share it. 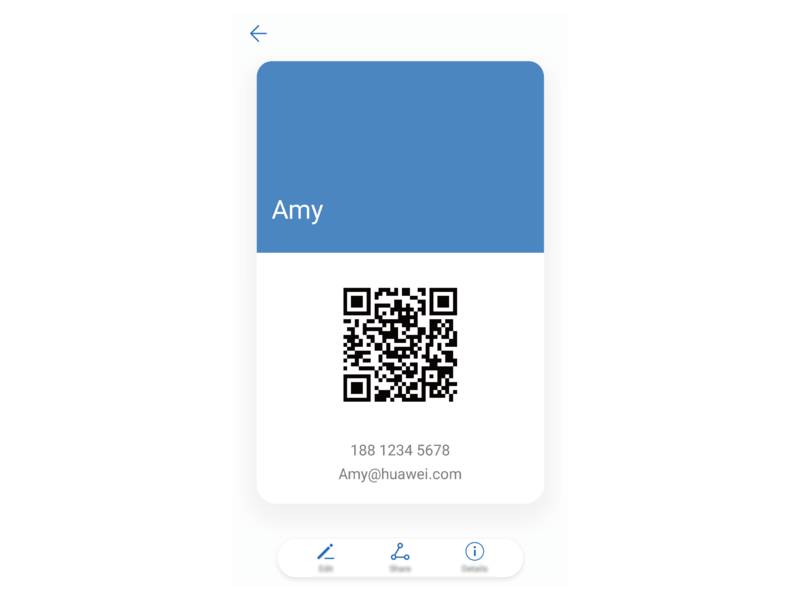 Share contacts: On the Contacts details screen, touch the QR code in the upper right corner to conveniently share contacts using QR codes.